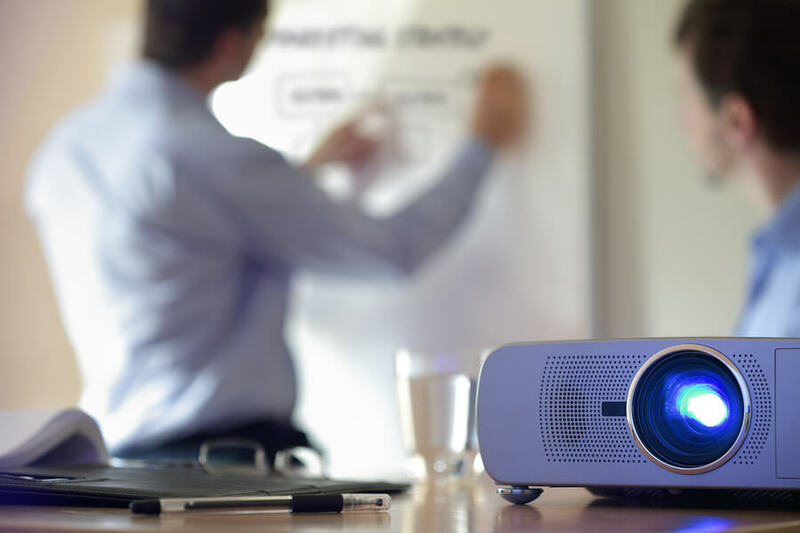 The idea that emitted light can be used as a means of communication is far from novel – clearly this is the principle behind the entire AV community – and it’s not an accident that our largest conference is called “InfoComm – Information Communications”. However, AV technologies haven’t been lost exclusively on communicating digitally to a human observer. Researchers have been asking recently if similar methods can be leveraged for machine-to-machine communication systems. Back in 2009, I was working with a team of researchers that were using commodity projectors to transmit encoded patterns that would then be captured by CCD cameras and translated into digital messages. The work was mostly focused on an area of mathematics referred to as projective invariance. What type of patterns can I encode in a display that, when observed by a camera will be preserved, even when the projected image may be “projectively” distorted (i.e. skewed, rotated, perspectively smeared on a wall). It was fun work and we showed that by using a set of invariant patterns (known as the cross-ratio) this type of true imaging network could be used to securely transmit data between computers with low-latency and no danger of traditional electromagnetic listening in. Problem at the time was, the bandwidth provided by such a network was woeful. Recent advances in LED technology have re-energized this type of thinking and researchers at the University of Edinburgh are now using networks of LEDs and specialized photosensor arrays to create networks that could have quicker response times and wider bandwidth than a traditional WiFi network. The work is well funded and could be a serious technology for the commercial and government markets in less than five years. By using many colors simultaneously that can be triggered at very fast speeds, ultra-parallel communication between LED transmitters and the light sensing array (typically only a few meters away). At the IEEE Photonics conference in October, Dr. Harold Haas and his colleagues were able to demonstrate data rates of 155 Mb/second. It’s very interesting to see uses for LEDs outside of flat panels and signage. Applications could include secure in-room networks and very high bandwidth communications between mobile devices as they come close to one another.